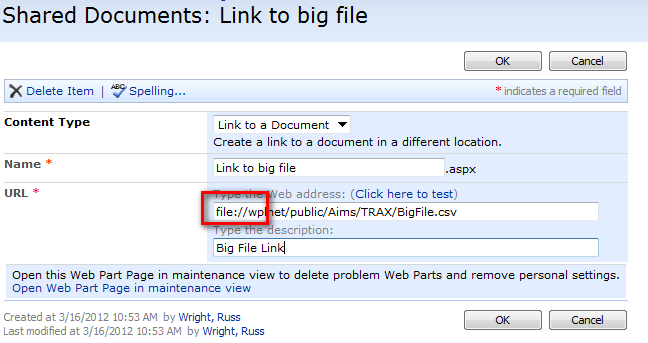 Add a Link to a Document to get around file size Limitation | Are you a user? Many times SharePoint users run into the maximum file size allowed on their SharePoint farm and the SharePoint administrator won’t change the rules and allow larger files. 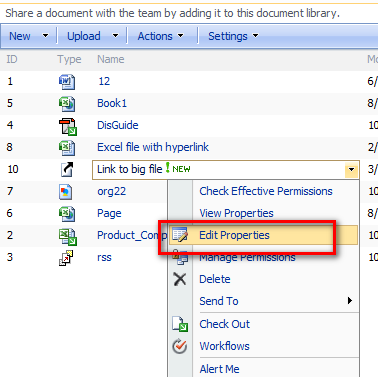 One way to get around this is to enable the "Link to a Document" content type on and store the file on an available file share. Here’s how you do it in 2007. It’s similar in 2010. 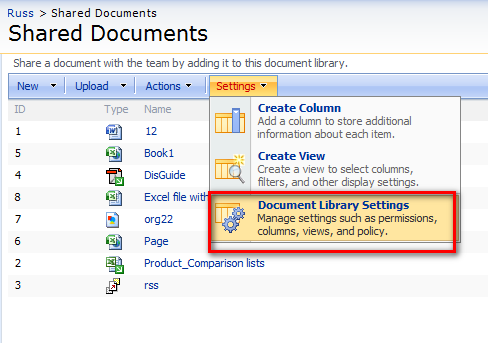 Go to Document Library Settings. 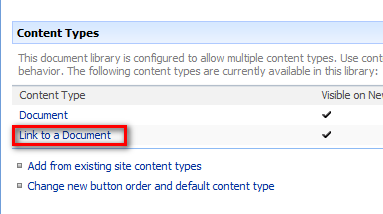 Enable management of content types. Click on Add from existing site content types. 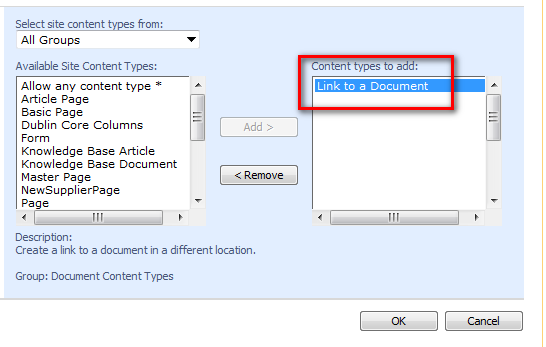 Add "Link to a Document" and click OK.
"Link to a Document" should now show up in the list of content types for your library. 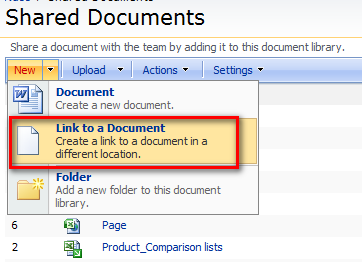 Navigate back to your document library and click on the New drop-down and select "Link to a Document." If you attempt to enter a file:// URL to the file on your server, you’ll probably get an error, so put in a dummy URL that begins with http://.&#160; Here’s an example URL. http://wplnet/public/Aims/TRAX/BigFile.csv. Edit the properties of the link. Click on the link and you should be directed to the file on the server. 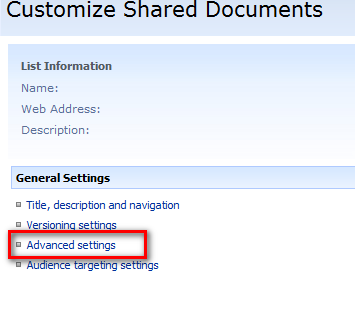 A similar process can be used for SharePoint 2010.